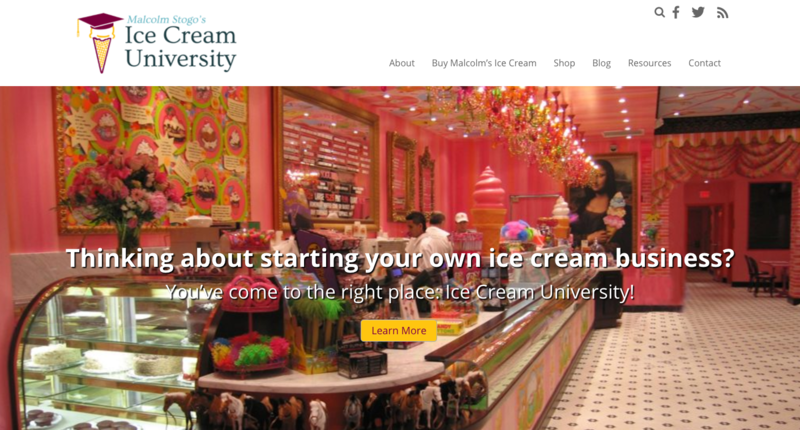 Ice Cream University was a fun yet big site to work on. 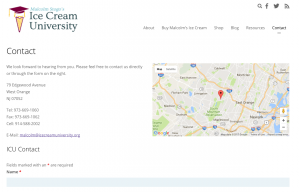 Although the university is small, every product and every variation which is offered at the university is included on the website. When visitors to the website choose an item, the photo of that particular product is shown in the large window. 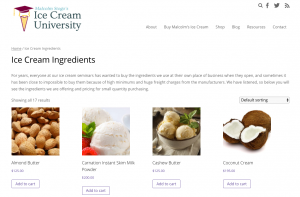 This way, customers can see exactly which type of product they would like to order. West of Orange had full control over the design of the site.